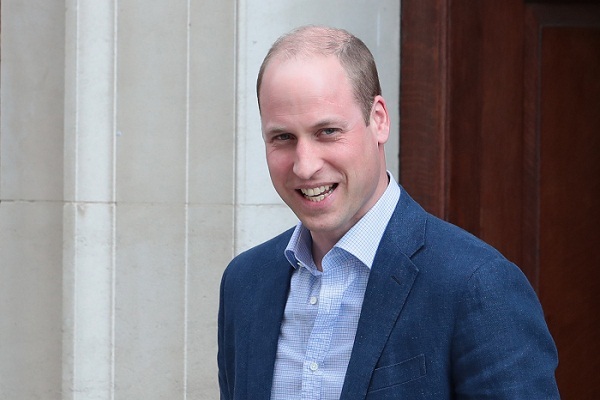 Prince William and his wife Kate's new baby boy is the third child of a man one day destined to be king. AFP looks back at the curious lives of previous third children of British monarchs. Some reigned themselves, others fought in wars, survived shipwrecks or died prematurely. Andrew joined the navy and served during the 1982 Falklands War, risking his life using his helicopter as a decoy for incoming missiles. The Duke of York married Sarah Ferguson in 1986. They had two daughters, Princesses Beatrice and Eugenie, but divorced in 1996. From 2001 to 2011 he was Britain's special envoy for trade. Aged 17, she founded the Princess Mary Christmas gift box for World War I troops. Around 2.5 million were delivered before the scheme closed in 1920. She was particularly close to her oldest brother king Edward VIII even after his abdication in 1936. Mary married the future earl of Harewood and had two sons. Widowed in 1947, she died of a heart attack aged 67. Louise spent much of her childhood at the royals' Sandringham private estate. She married the Duke of Fife, who died of pleurisy in 1911 shortly after the couple were shipwrecked off Morocco. She died in 1931 after suffering a gastric haemorrhage. Alice nursed her father prince Albert until his death from typhoid in 1861. She married the minor German royal prince Louis of Hesse. A prolific patron of women's causes, she managed field hospitals in the Austro-Prussian War. When diptheria infected the Hessian court, she nursed her family before dying herself. A mother of seven, her daughter Alix married tsar Nicholas II of Russia. William's elder brothers, the future king George IV and prince Frederick, who died in 1827, had no children, leaving William next in line. He lived with the actress Dorothea Jordan and they had 10 illegitimate children. To sire a legitimate heir, the duke of Clarence married princess Adelaide of Saxe-Meiningen in 1818, but their two children born alive both quickly died. He was king from 1830. His reign saw several reforms including abolishing slavery throughout the British empire.